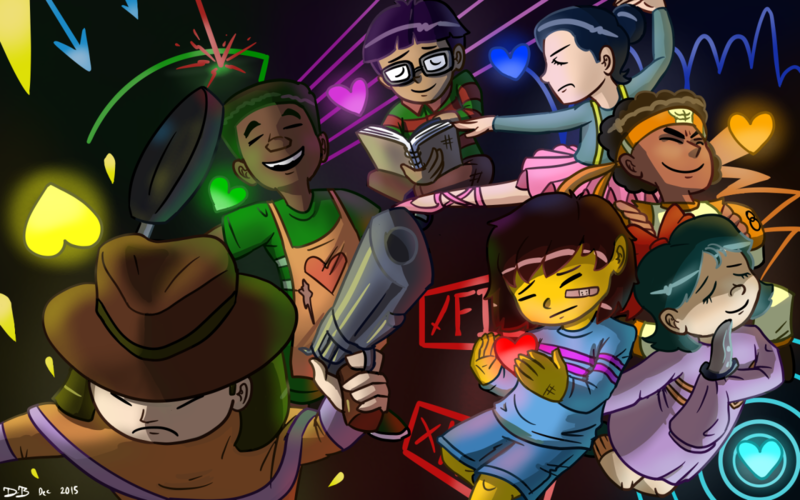 What if, the fallen childern wasn't dead? What if they all adventured the underground together? Ya know, FORGET ABOUT THIS MONSTER JUNK. People can still sign up tho. 1. Humans can not advance to a different area unless they are together. 2. THIS IS A PASIFICT TIMELINE. 3. It will be mostly main characters in this Chat. 5. No other AUs allowed. 6. This is BEFORE the CORE, so Gaster is still existing. 8. DO NOT DISRECPT I, THE GREAT PAPYRUS!! The chat shall be up ONCE we get enough people! Thx for waiting! - Currenlty being played as the Main Mod. People may still sign up. REALLY, I'M SERIUOSE ABOUT RULE NUMBER 8. Weapon: No weapon, their just a guide. 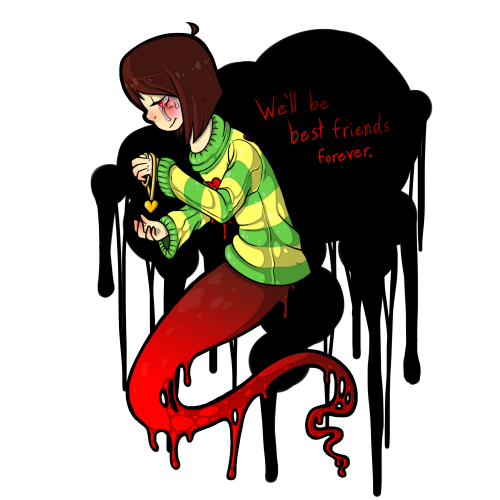 Presonallity: Chara once was live, until plot happened, so now they are a ghost. They like helping out the Humans on their Jorureny, but of course will tell them to FIGHT now and then. Their pushy, mean and maybe a bit insane. Likes: Knifes, Helping, Narroting, flying, annoying the Humans, CHOCOLATE! Dislikes: Every human besides the Group, Monsters, friuts, "That damn comdian..."
Hobbys: Guiding, Annoying others, trying to eat things. I must ask, could you be one of the souls? Like the purple one. I just wanted to make sure. (03-10-2016 08:58 AM)MissMurder Wrote: [ -> ] I must ask, could you be one of the souls? Like the purple one. I just wanted to make sure. Sorry, but i am just merly a Guide. Plus i don't know how to use two muses at once. A very basic application, because why not? Weapon: A thick, leatherback journal. Personality: Relatively introverted and softspoken, preferring to allow others to initiate conversations than start some themselves. They enjoy their companionship with others, however they are hard-pressed to preserve it themselves. They are very insecure in their gender identity and that is clearly shown in their awkwardness (for lack of a better word) in romantic situations. Despite this, they are very benevolent and warmhearted. They are also quick on their feet with grasping their situation. Likes: Tabletop roleplaying games (despite never being able to play them with others), science-fiction television series from the sixties, writing. 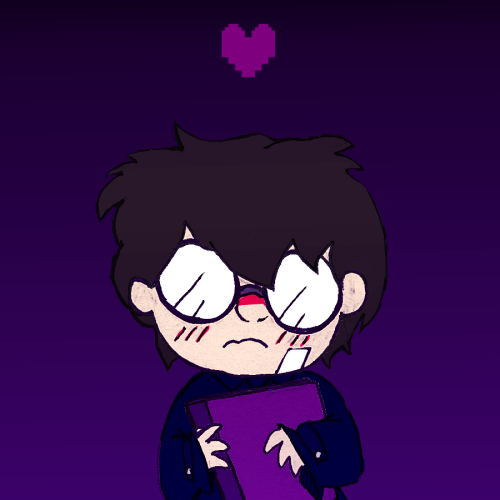 Dislikes: Philosophy and existentialism, ironically-cool shades, not being able to play tabletop roleplaying games due to lack of additional players. Hobbies: Writing, homespinning modules, solving puzzles. OOC Pronouns: He/him or she/her. (03-15-2016 10:27 AM)Wubba Lubba Dub Dub Wrote: [ -> ] A very basic application, because why not? Is this based off of Pavizi's AU?